This is a GATHERING of CRYSTALS of LIGHT that have been hidden deep within many Souls on this Planet and are now ready to unfold and unveil their beauty upon all ESSENCES of all LIGHT CRYSTAL SOULS. The Mastery of eloquence shimmering in all Etheric Fields will be transmitted upon all Matrix Bodies and Etheric Grid Systems as each Soul becomes ONENESS of its own Soul Seeds tapping onto one another with LOVE LIGHT HARMONY. It is not for those to sit and wait on the WORD for the WORD will be SPOKEN and delivered into all heart beats and into all Higher Minds as each child will be raised up into Mastery Consciousness the moment they are seated into the vibration of STILLNESS. And as the WORD will be SPOKEN, the Electronic vibrations will be instilled and the “Ceremony of Mastery” will be displayed all weekend long. 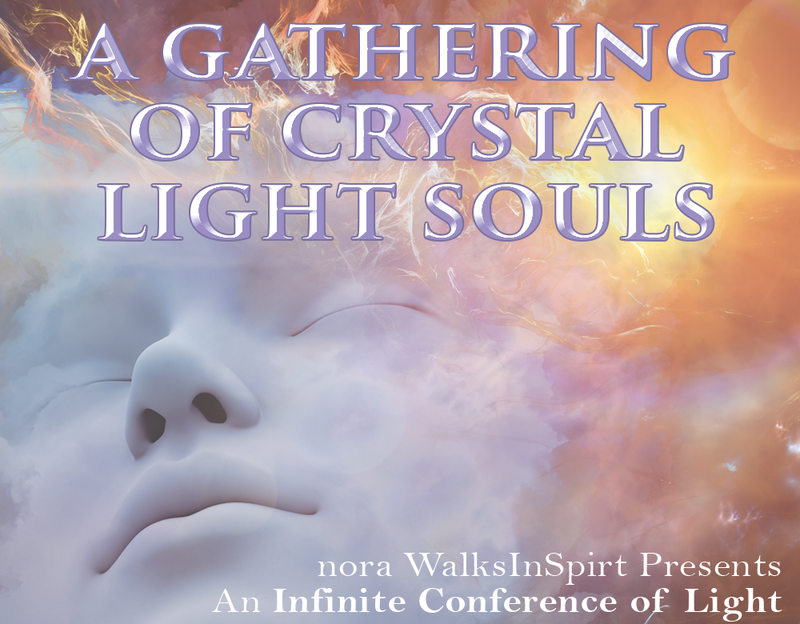 I AM bringing you, pristine DIAMOND Crystalline LIGHT ESSENCES of all that you are in many Particles and Silhouettes on many days now for you to Telepathically ..join into ONE-NESS Consciousness with ALL who are called to Transform on this Sacred Gathering of Crystal Light Souls. Your own Abilities are Awakening within you and this weekend will be amplifying as LIGHT CODES of Crystalline ESSENCES delivered through these heightened Master Teachers/Shamans/Healers/Musicians’ Electromagnetic Frequencies that will become pu­rified and Crystalized by Tachyon Frequencies. All will be Harmonized, Synchronized and Attuned into higher aspects of your· true CRYS­TAL LIGHT SOUL as the Messages delivered onto all who LISTEN within will become Infi­ nite Divinely Aligned into ONENESS of ALL that JUST IS. I leave you now MY CHILD of LIGHT to be guided and enlightened by the Crystal Energies that form Crystalline Diamond Essences of LIGHT upon you and all who are called to TRANSFORM. Micheal Moon Gentle melodies that entrain you to the rhythms of the earth and the harmonies of the spheres. Jorge Luis Delgado He will be Teaching on the Sacredness of Peru and the Mystery of the Aramu Muru a Multi-Dimensional Doorway/Portal in the Hayu Marca Mountain in South Peru.